This is my favorite time of year. The sun is shining, the flowers are blooming and everything just seems brighter. It is also when I start to crave white wine. A warm sunny day and a glass of white Bordeaux is a happy day indeed. Most people have heard of Bordeaux’s hearty red wines, but few know about the magnificent white wines from this region. 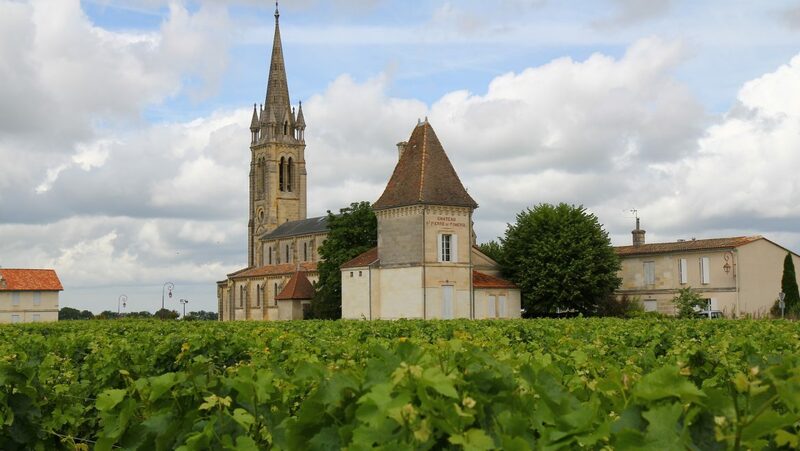 Bordeaux has the distinction of being known for producing some of the best wine in the world, including white wines. The best white wines from Bordeaux come from Graves, on the left bank of the Garrone river. It is named for its famous gravelly soil. Ice age glaciers are responsible for the soil, which deposited tiny white quartz pebbles throughout the area. The white wines from Bordeaux typically are blends of semillion and sauvignon blanc grapes. The semillion grapes provide richness, body, depth and the ability to age, while the sauvignon blanc grapes provide brightness and acid. 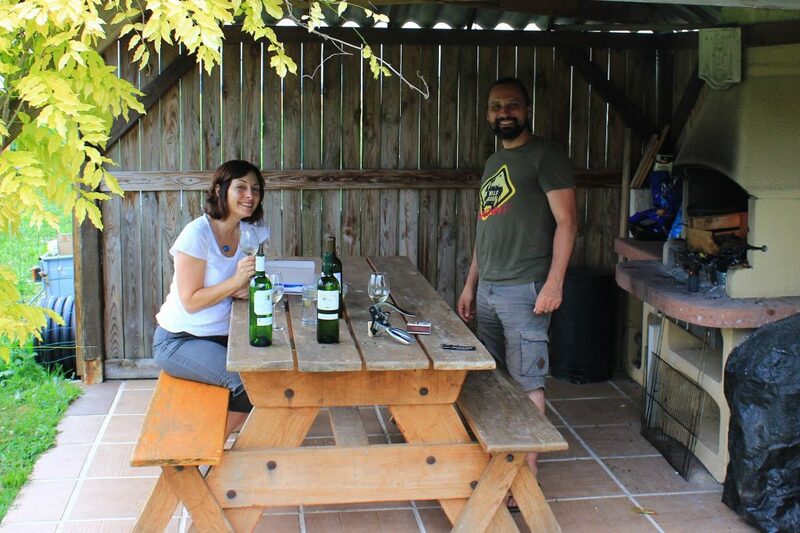 Working hard evaluating and comparing wines, ensuring that LBV only imported the highest quality. The white wines from Graves are difficult to find in the US and have developed a bit of a cult following. 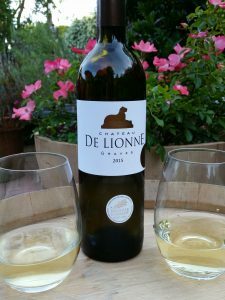 LBV Imports has 3 spectacular white wines from two different producers: Château de Lionne and Château Cherchy-Commarque. As is true of all the wines offered by LBV, I personally picked these wines while traveling the region. All of the wines offered at LBV have been carefully selected after meeting the wine makers / owners, learning of their viticulture practices and sampling numerous vintages. Only those wines that I thought were exceptional were imported. Château de Lionne‘s 37 hectares are nestled in the middle of the Graves appellation, close to the Garonne river. Veronique Smati, the owner of Château de Lionne, focuses on the terroir; respect for the land and cultivation of the vines. This is obvious in the 2015 Graves, which won the Médaille d’Argent in Paris. This wine blends sauvignon blanc and semillon to produce a crisp, white wine with a nose of peach and pear. It is refreshing on the palate, and has a brightness of color and pale yellow hue. 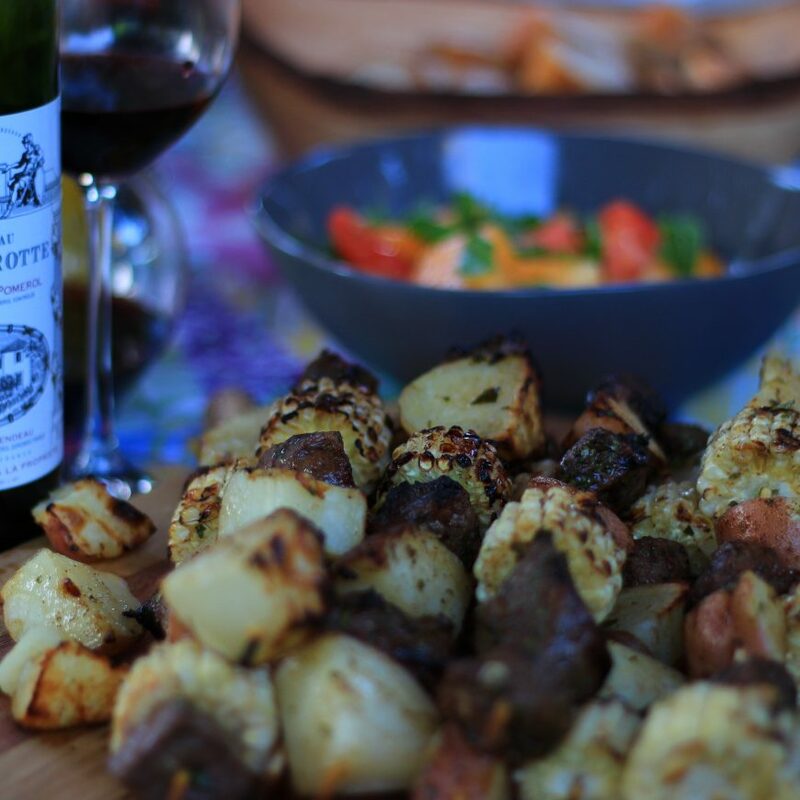 It is a wine that can be enjoyed by itself or to enhance a meal. It’s the perfect wine to enjoy with friends on the weekend. One of the other wineries LBV works closely with is Château de Commarque, owned by the Desqueroux family. This family has been devoted to wine making for generations, and it is obvious in the quality of wines they produce. We are fortunate to offer two of their wines: the 2014 Château Cherchy white Graves and a 2010 Sauternes. Both wines are remarkable. 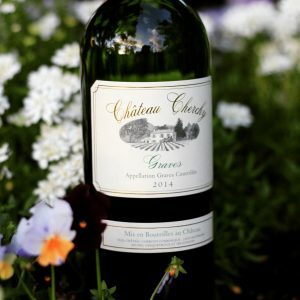 The 2014 Château Cherchy is 100% semillion grape, tasting of fresh apple and pear. It has a roundness on the palate and long silky finish. This wine is perfect however you want to enjoy it. It is delightful as an aperitif, on a picnic or just relaxing at home. Our other wine from this fantastic family is a Sauternes. Sauternes is one of the most misunderstood and underappreciated wines in the US. These once sought-after sweet wines have lost favor in the US, as people associate it with sweet dessert wine. However, Sauternes, served cold, is heavenly. The classic pairing is with foie gras but it is also delightful with any type of cheese, fruit or with (or as) your dessert. Don’t be frightened off by the thought of a Sauternes. Château de Commarque is a modern Sauternes, elegant and fresh, tasting of honeysuckle, juicy pear, candied orange and cinnamon. 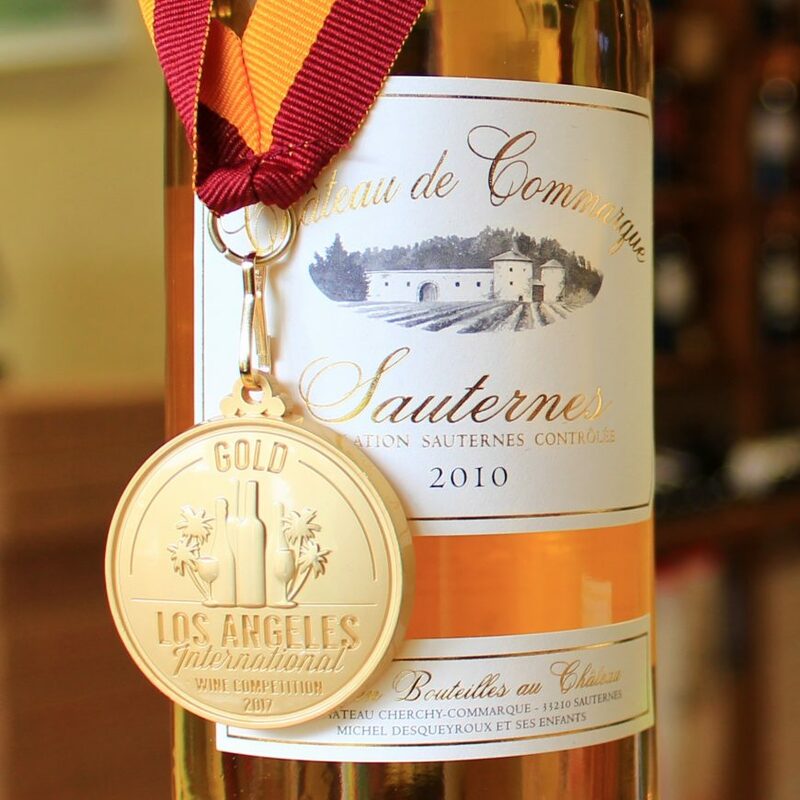 LBV offers a Sauternes from an exceptional vintage: 2010. It’s a wine that should not be missed. With the warm weather, we spend more time outside, visiting with friends and family. Be sure to have some of these lovely white wines in your wine fridge. They are sure to liven up any gathering. Wine Pairing for the World Cup: France v. Peru June 21st!